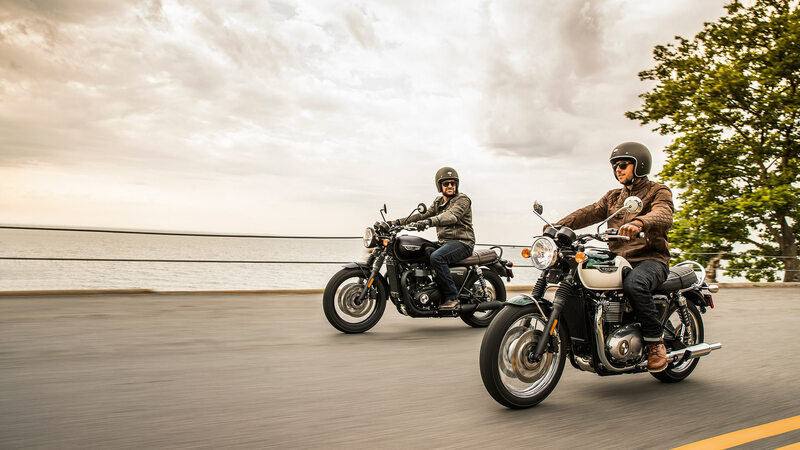 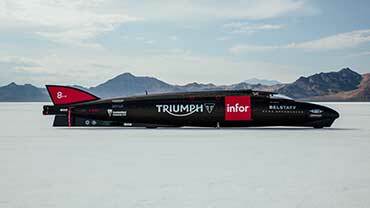 The timeless style and iconic character of the original Bonneville is reborn. 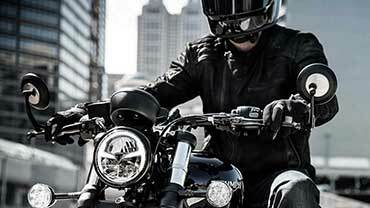 A genuine style icon, with real pedigree, presence, and performance. 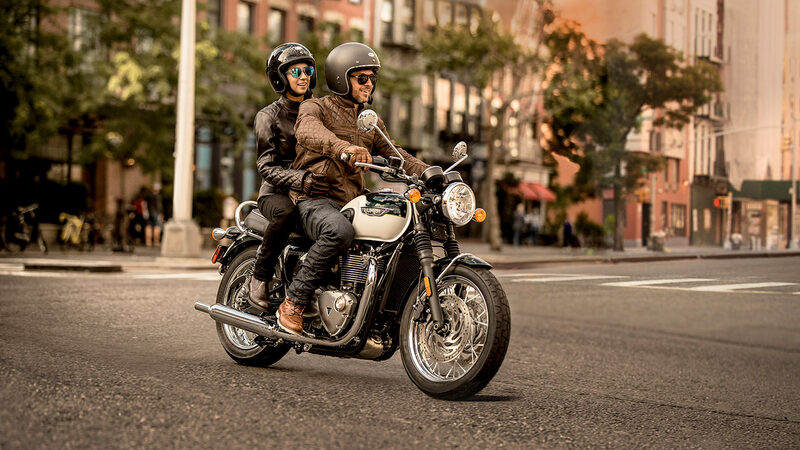 Combining the modern power of the Bonneville 1200cc high torque engine with authentic style and detailing, crafted to follow the timeless silhouette and cues of the original Bonneville, the T120 is an enduring icon beautifully evolved. 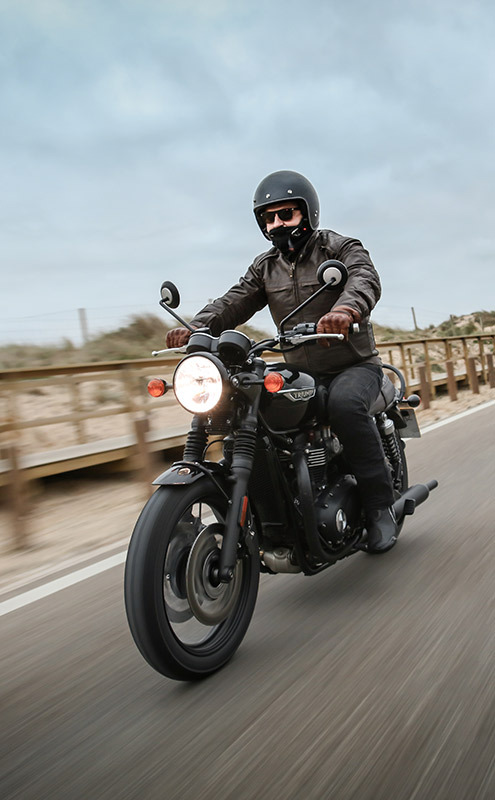 Building on the classic looks of the T120 Bonneville, T120 Black brings an altogether meaner and moodier urban style with a distinctive brown seat and blacked out details including rims, grab rail, exhaust, and a sophisticated paint finish in Matt Graphite or Jet Black. 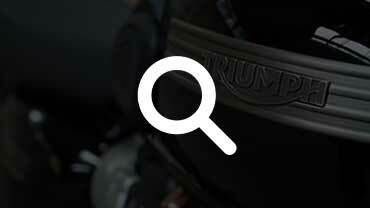 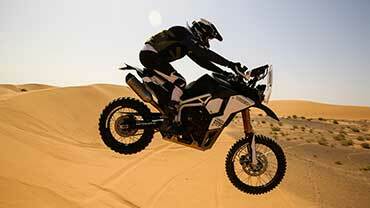 1200cc high torque engine with iconic silhouette. 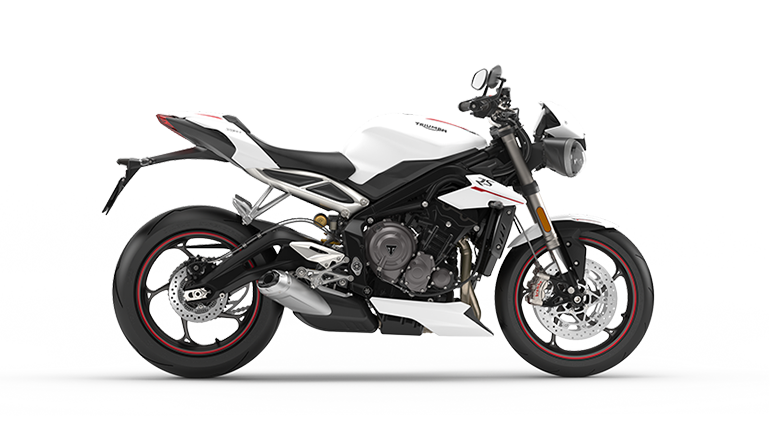 Staying faithful to the bike’s evocative heritage, the T120 bikes are powered by a high-torque 1200cc, 8-valve single overhead camshaft parallel-twin with a charismatic 270° firing interval for a smooth and responsive ride. 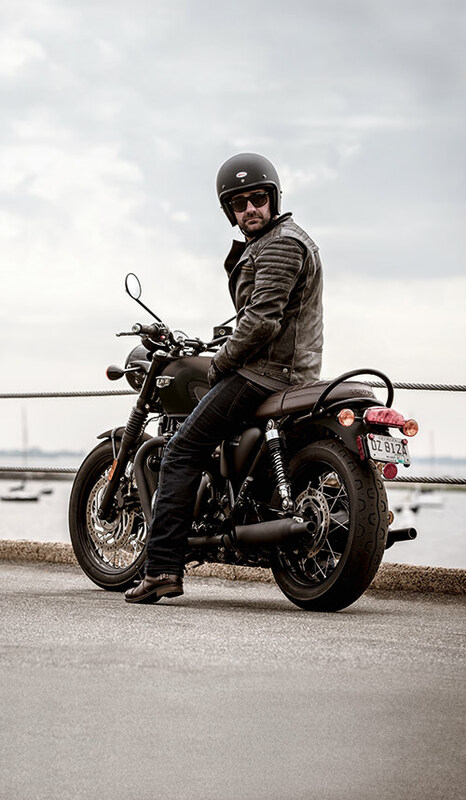 The timeless style and iconic character of the original Bonneville is reborn, crafted to the highest standard of detailing, quality, and finish, and matched by the capability and performance of a truly modern classic motorbike. 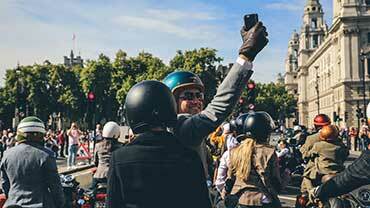 Add even more of your own personal style. 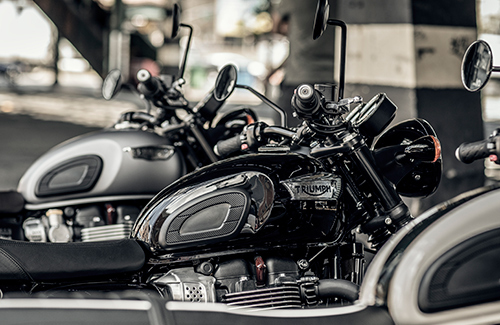 With over 160 high quality accessories for the Bonneville T120 and T120 Black, plus two specially-created inspiration kits to quickly get your personalisation started, it’s never been easier for you to create your own special. 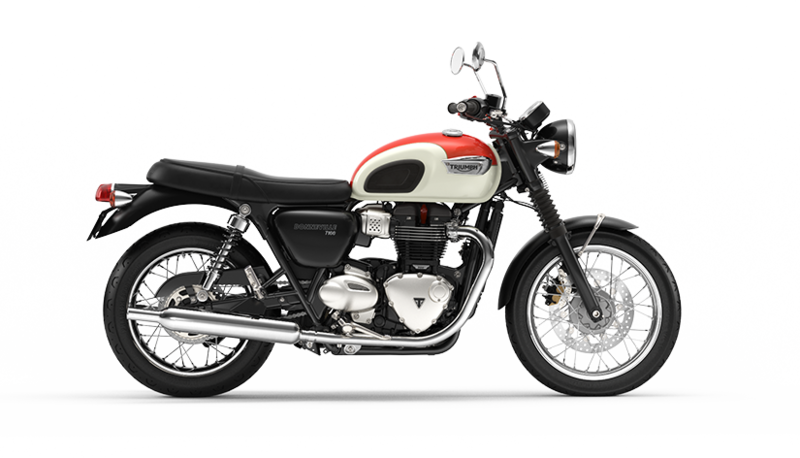 The T120 reflects all the timeless style of the original 1959 Bonneville that helped propel a cultural revolution. 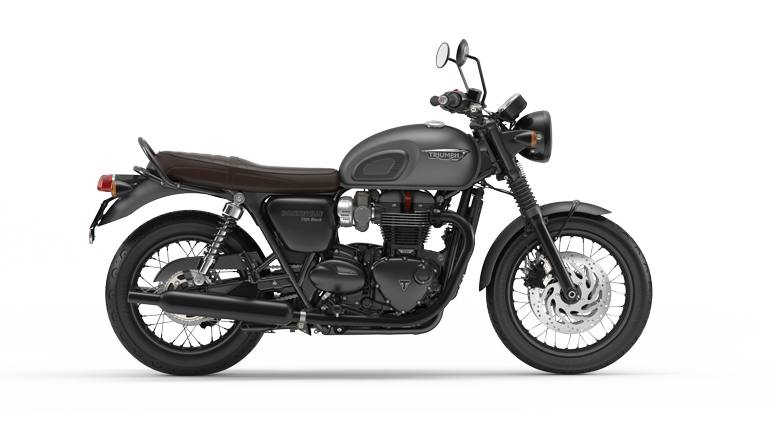 1200cc powerplant built specifically for this modern classic, and crafted to follow the silhouette of the 1959 original. 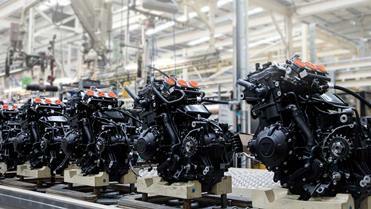 High torque engine power provides low-down power as well as across the range performance. 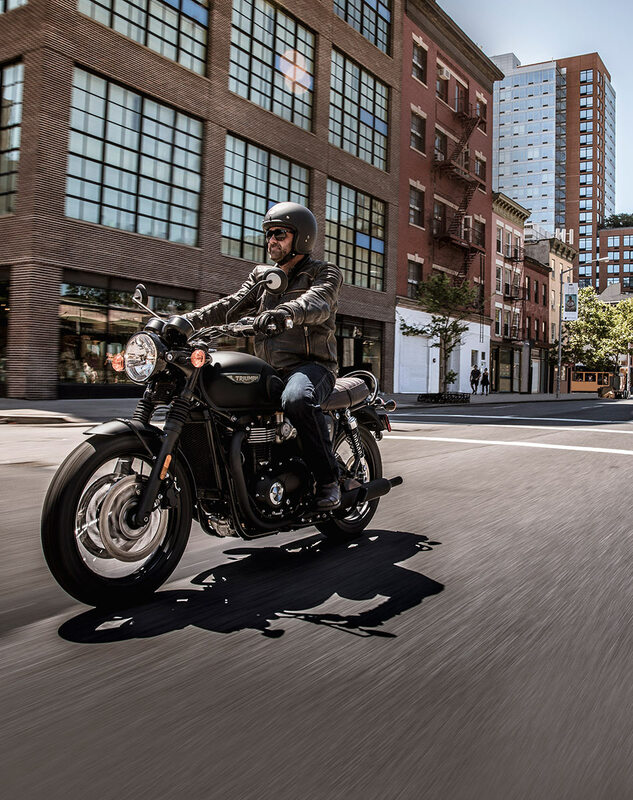 Tailor the precise style, performance, and capability of your Bonneville T120 with over 160 high quality accessories. 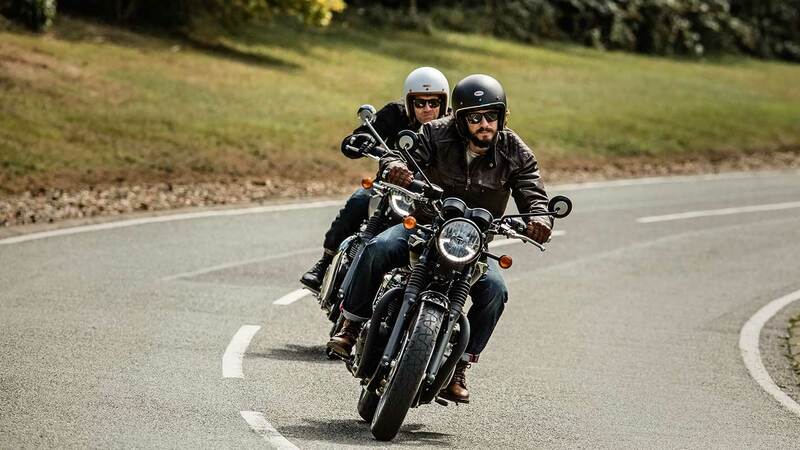 The contemporary safety standard, Triumph’s latest generation anti-lock braking system sets the standard for control to the Bonneville T120 and T120 Black. 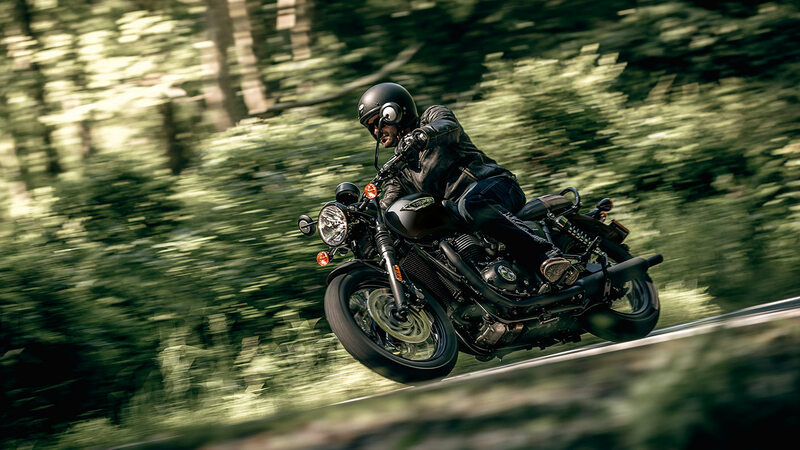 The Bonneville T120 and T120 Black’s electronic ride-by-wire system enhances the throttle control, responsiveness, and feel. 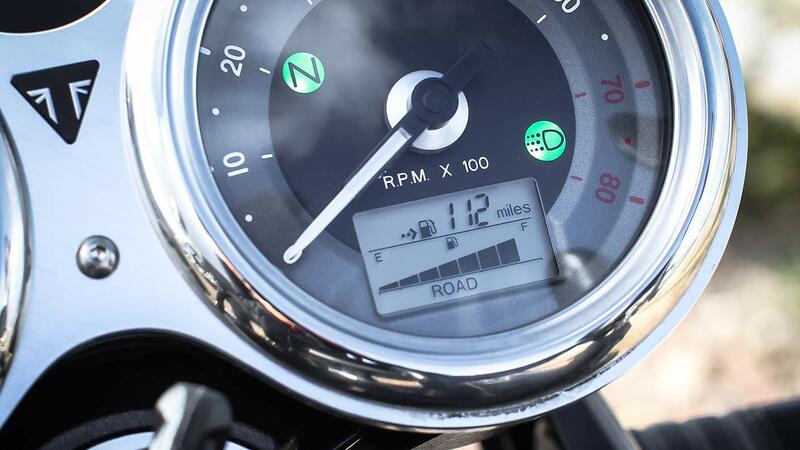 Linked to the ride-by-wire system, the two selectable riding mode options – ‘Road’ and ‘Rain’ – provide the rider with real control and safety. 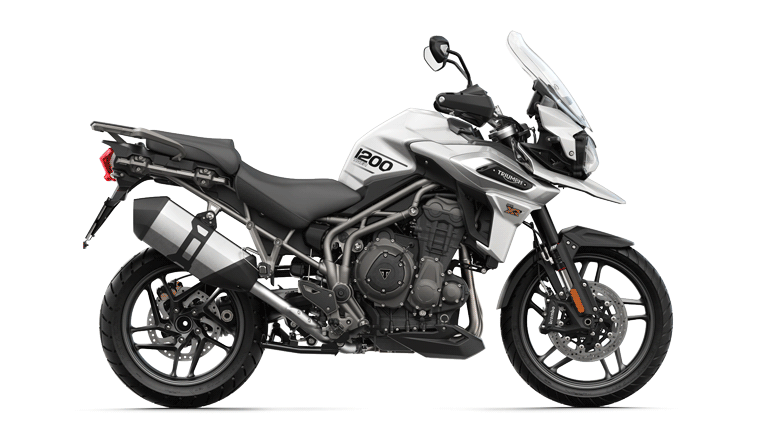 Taking advantage of the sophisticated ride-by-wire system, the T120 and T120 Black incorporate a switchable traction control system that optimises the delivery of the class-leading torque. 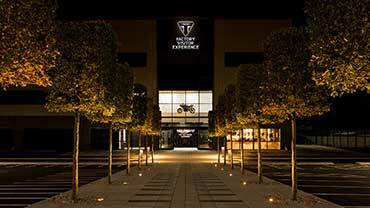 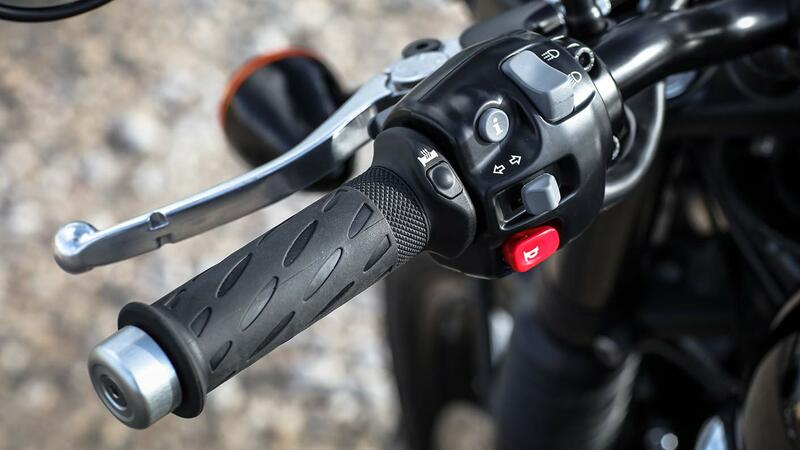 High specification heated grips, with a 3-mode setting, come as standard on the Bonneville T120 and T120 Black. 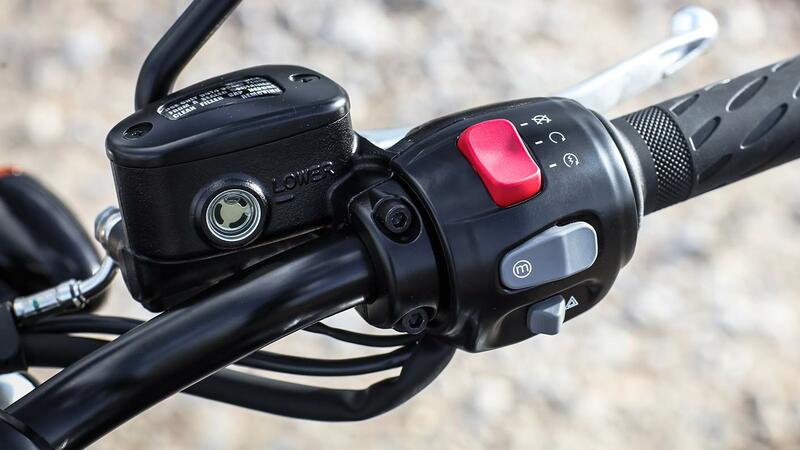 The T120 switchgear presents a simple fingertip control scroll button for easy access to the key features on the beautiful digital clocks. 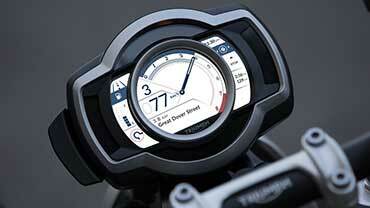 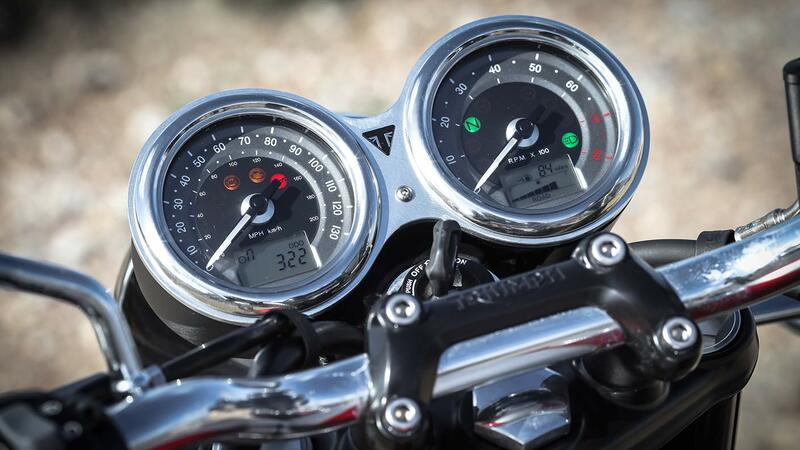 Stylish feature-packed twin clocks (speedo and rev counter) with beautiful 3D dial faces cleverly incorporate a digital menu system accessed by a handlebar mounted scroll button. 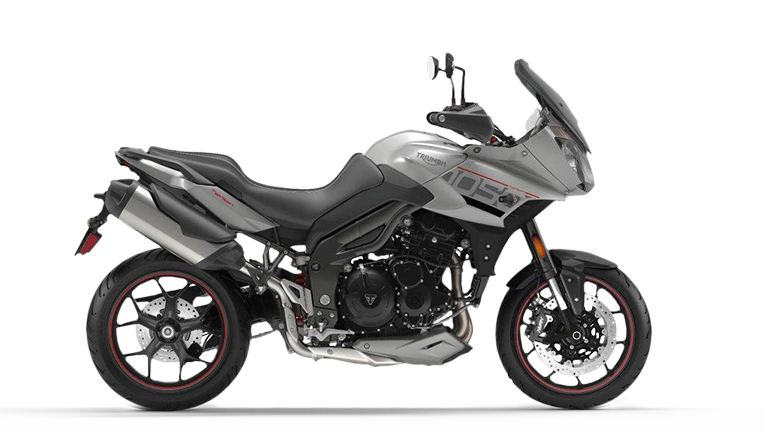 Key features include; gear position indicator, heated grip status, odometer, two trip settings, service indicator, range to empty, fuel level, average and current MPG, clock, and access to turn off traction control features. 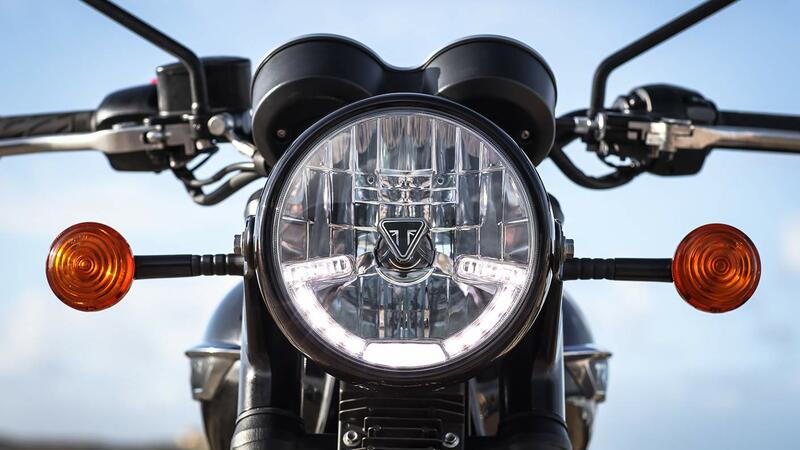 For improved visibility, the Bonneville T120 and T120 Black’s headlight incorporates the latest in daytime running lights (DRL), delivering a distinctive signature light pattern and enhanced power efficiency for long-term durability. 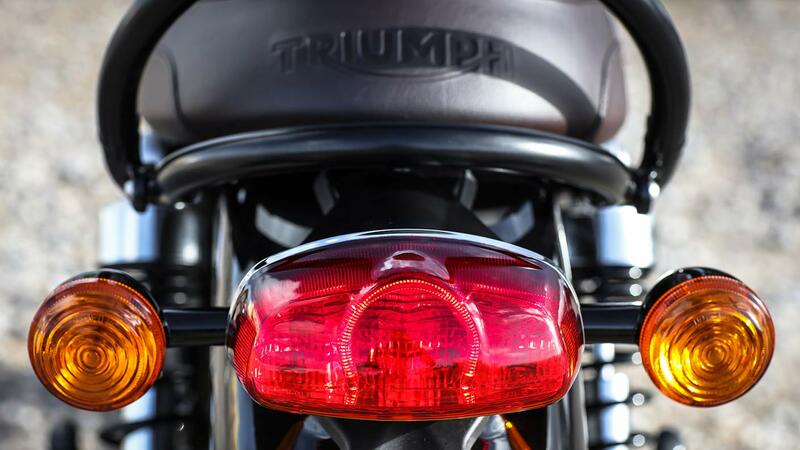 LED rear light, incorporated into the classically inspired and stylish tail set-up, bring a distinctive rear light pattern and power efficiency. 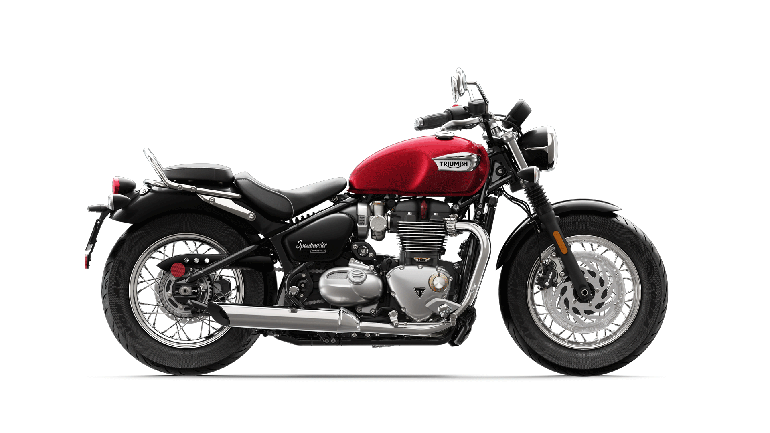 Inspired by the legendary 1959 Bonneville and styled to incorporate the original’s iconic features, the Bonneville T120 reaches a whole new level of detailing, quality and finish – including deep chrome multi-piece Triumph tank badges, grab rail, innovative twin-skinned chrome exhaust headers, and peashooter style silencers. 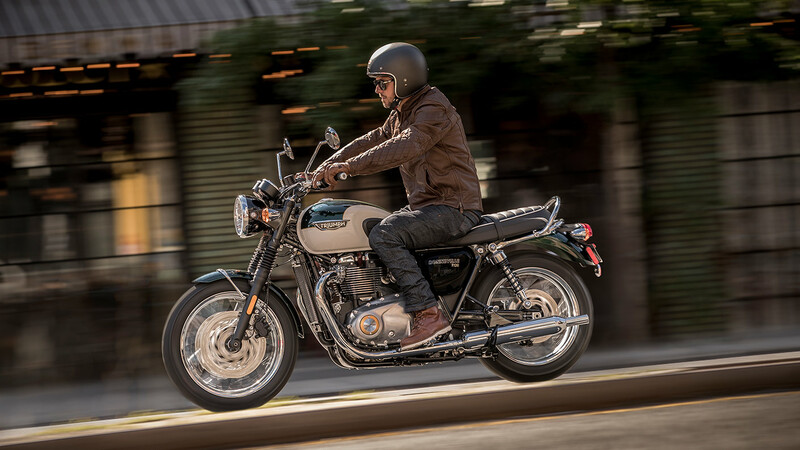 With a standard of modern performance and capability to match its timeless looks it’s today’s Bonneville; a genuine icon, beautifully evolved. 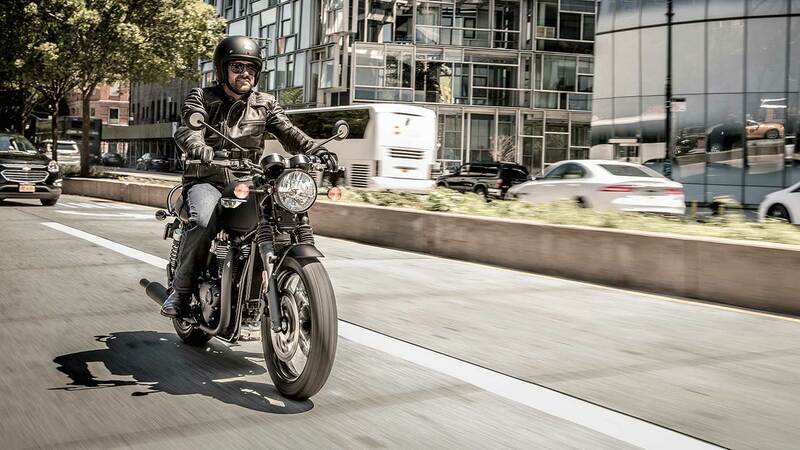 Built with all the iconic character, quality, performance, and capability of the T120, the mean and moody Bonneville T120 Black takes this modern classic to a new level with real attitude, individuality, and style. 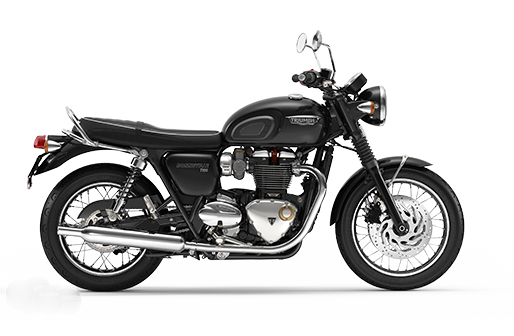 Featuring an incredible level of detailing and sophistication, the Bonneville T120 Black is a genuine modern motorcycle style icon. 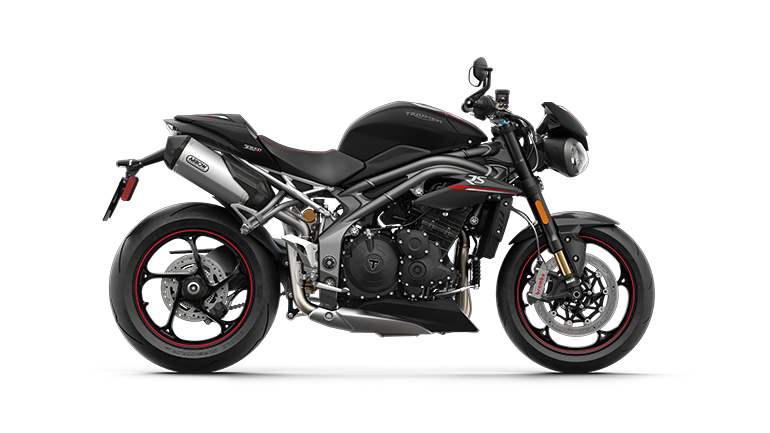 All-black detailing with black rims, indicators, mirrors, foot controls, grab rail, exhaust, and engine finish. 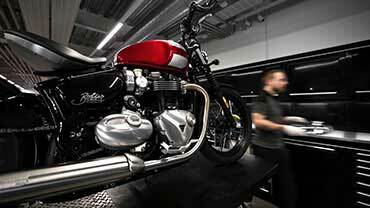 The limited edition Bonneville T120 Ace is a spectacular celebration of the of the very first generation of café racers together with the central part played by London’s legendary Ace Cafe in British motorcycling.